When promoting an offer most affiliates test out different landing pages to see which converts the best for their offer. Landing pages can differ with their creatives, their sales messaging and their calls to action. Testing landing pages can be time consuming as well as expensive as one has to keep buying traffic in order to get a good idea of which page works the best. Luckily ExoClick has intelligent landing page algorithms that affiliates can use to get the most out of their test spending and save a lot of time to reach their conversion goals. ExoClick offers three different algorithms to choose from and they can be found in Admin Panel > Advertisers > Offers. The Random algorithm spreads traffic out evenly between different landing pages, so across 4 different landing pages, 25% will be sent to each page. The Automatic Optimization algorithm, is based on the multi-armed bandit algorithm, and it optimises traffic distribution to the landing pages based on conversion tracking results. The landing page that is performing the best will automatically receive most of the traffic, while continuously testing against the other existing landing pages and any new page that is introduced. A third algorithm, Fixed Shares is useful when you have examined the results of testing with either the Random or Automatic Optimisation algorithms. It allows you to define the exact percentage of traffic each landing page will receive, for example, landing page A 10%, landing page B 15%, landing page C 35% and landing page D 40%. Each computer that is connected to the Internet has an IP address that indicates its location: be it a home or place of business. By associating a unique IP address to an individual, information can be collected and used to create a personalized ads just for them, so it works just like one-to-one marketing. Because IP addresses are location based, specific local areas can be targeted which is useful for the marketing of local services. Additionally places that offer free WiFi to clients, such as Starbucks, allows affiliates to target users of that are on Starbucks WiFi network via their laptops, tablets and smartphones. Many marketeers collect their own personalised lists of IP addresses so that they can deliver relevant ads to specific audiences, reducing wasted impressions and increasing click-through rates and message reach. ExoClick’s IP Range targeting tool is under Admin Panel > Advertisers > New Campaign > Advanced Settings. The tool allows affiliates to target or block specific IP addresses/ranges. Affiliates can use their own customer IP range database as well as ExoClick’s current options. Simply enter each IP range(s) on a separate line, to block items place a minus sign before the IP range(s) that are to be omitted. Affiliates use many different campaigns running across various networks, so they need to be able to track all of these offers in real-time. ExoClick gives affiliates access to global traffic sources and ExoClick’s platform API can be integrated with 3rd-party APIs for server to server tracking. Voluum, HasOffers, Cake, AdsBridge and Kochava. You can download the manuals here. 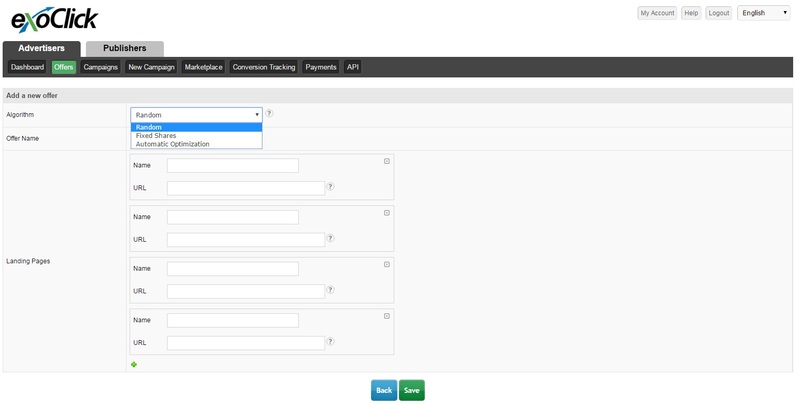 For an overview of server to server conversion tracking using ExoClick’s API, please see this FAQ. ExoClick is exhibiting at Affiliate World Asia 5-6 December in Bangkok. To find out more about ExoClick’s platform tools and traffic sources visit our booth #60 or email advertising@exoclick.com to book a meeting.